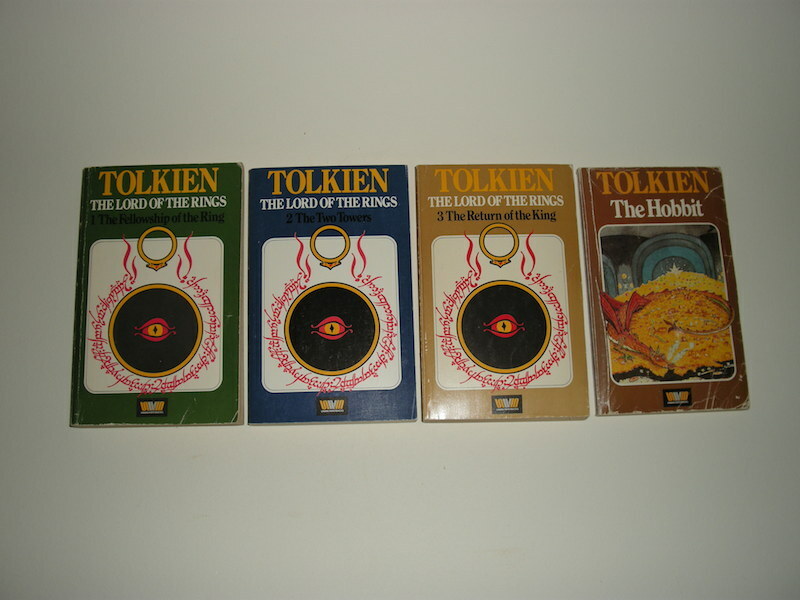 This set includes: The Hobbit, The Fellowship of the Ring, The Two Towers and The Return of the King. 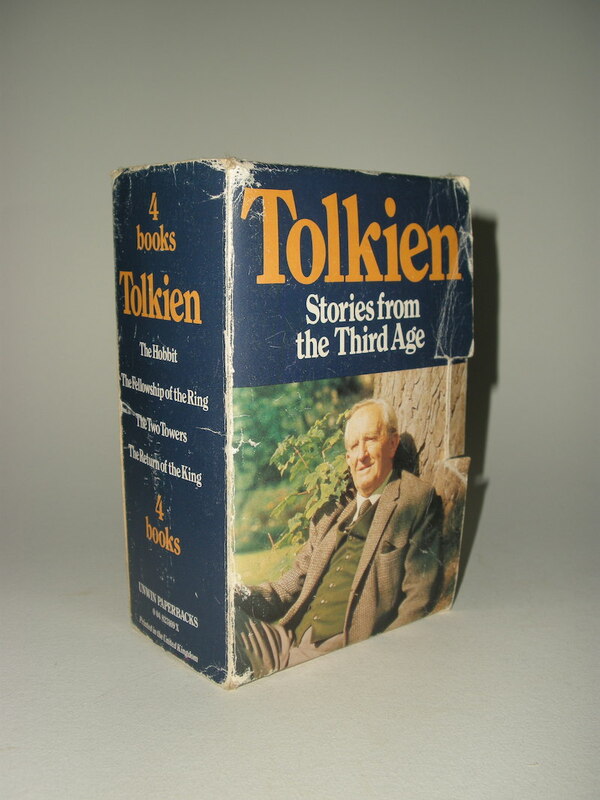 The Hobbit is the reset third paperback edition 1979, Unwin paperback. 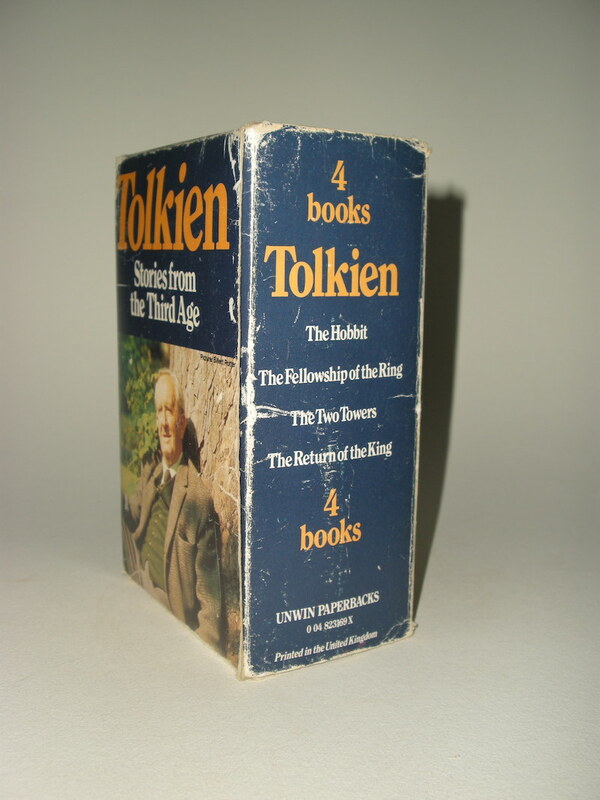 The Fellowship of the Ring is the 3rd edition 1979, Unwin paperback. 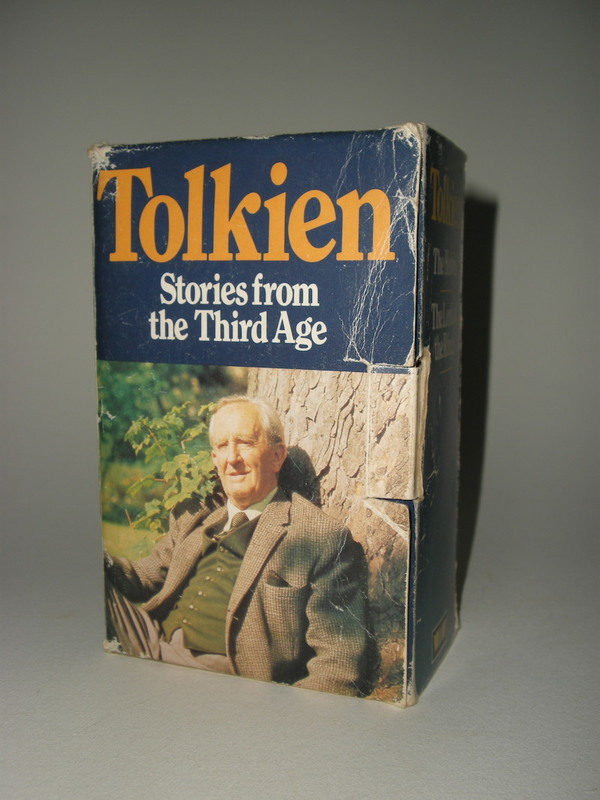 The Two Towers is the 2nd printing from third edition 1979, Unwin paperback. 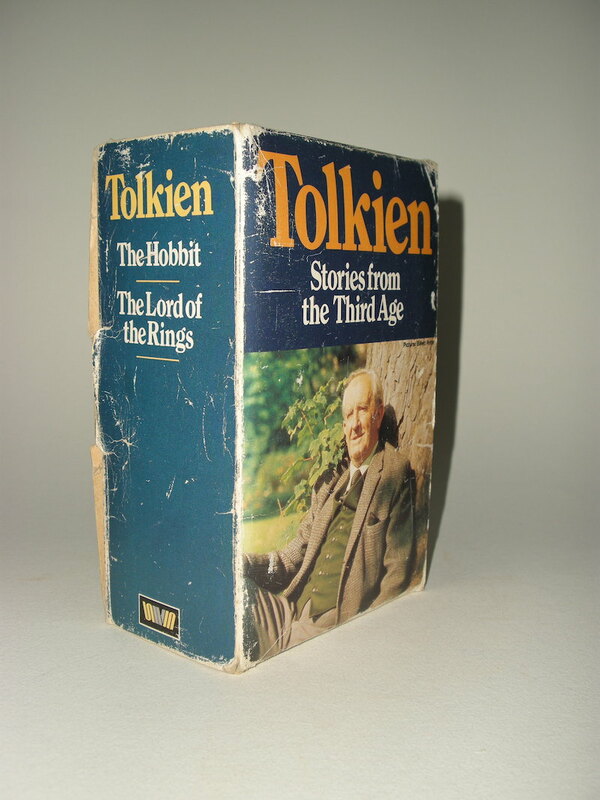 The Return of the King is the 2ndt printing from third edition 1979, Unwin paperback. ISBN 004823169X. Paperbacks. Issued in a box. Box photograph by Billett Potter. The Hobbit shows Tolkien's drawing of Smaug and the Lord of the Rings show the ring and eye design by J.R.R. Tolkien. These paperback books are in fine condition. With some bumps, rubbing to the corners. But mostly unread. 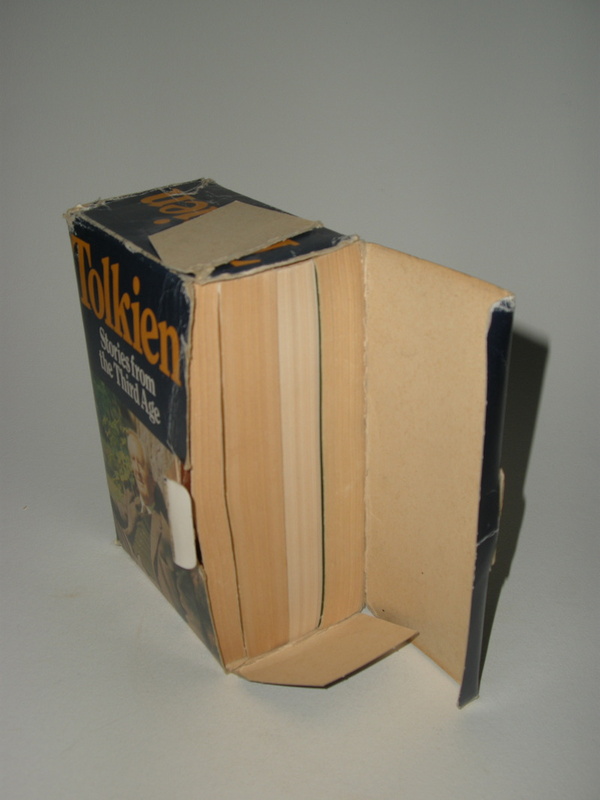 The Hobbit has clearly been read and shows several creases to the front paper cover and a previous owner signature. The box has seen better days, with some rubbing and some inner slips coming loose. Some rubbing and bumps to corners, so showing some color loss. Some rubbing to bottom. 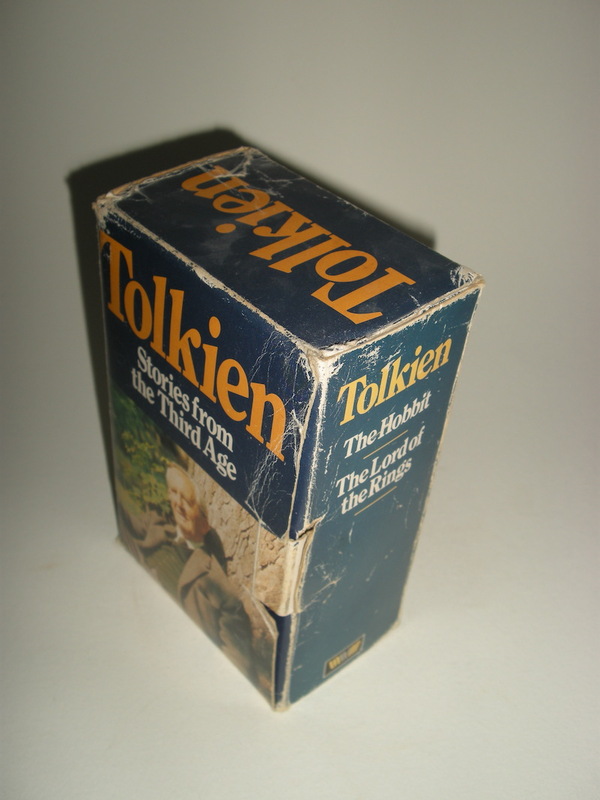 Box was however made of very thin cardboard so difficult to find this set in any condition.